While we were staying in Antigua, we made arrangements with our wonderful driver JB to visit Chichicastenango Market. 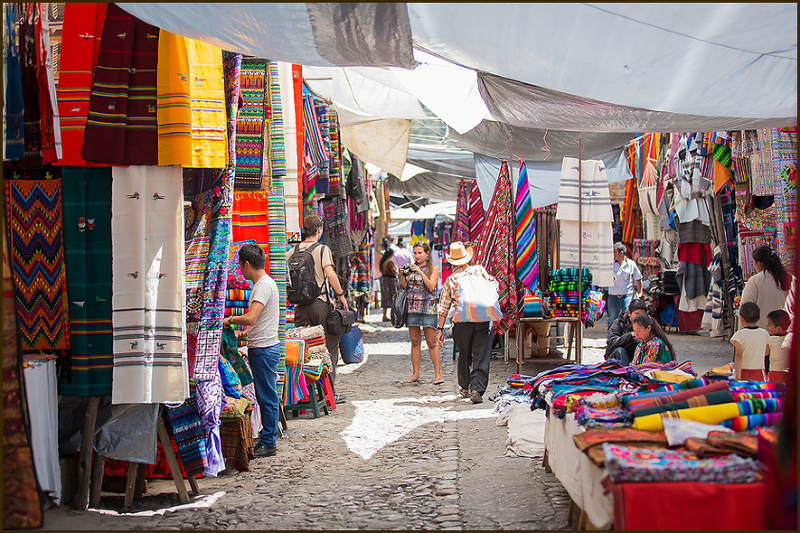 It is the largest outdoor market in Central America, open Thursdays and Sundays. The drive there wasn’t bad, a mix of windy mountain roads and crowded towns. We stopped to get breakfast at a tasty local place featuring Guatemalan hot chocolate and beans, plantains, tortillas and eggs. Arriving at the market was disorienting. The colors and smells and sounds and crowds were stimulating to the point of being almost overwhelming at times. 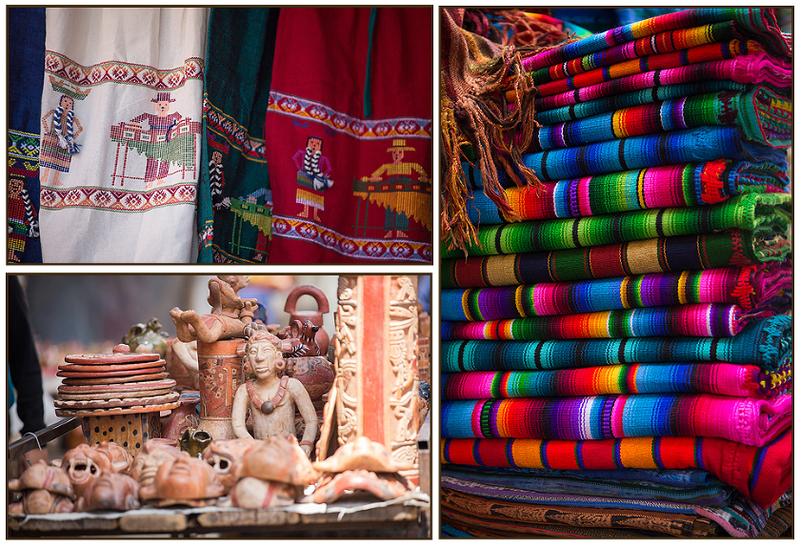 Beautiful textiles, homemade candles and hammocks, fresh fruit and tortillas, children’s toys and dolls, masks and statues, flowers…every corner we turned had something new to admire. We wandered through the alleys and main streets for hours, soaking everything in. At last we came to the famous 400 year old Chichicastenango church of San Tomas. There are 18 steps leading up to the main structure, one for each month of the Mayan calendar. On the day we went, there was incense burning and people selling flowers and other items on the steps. Late in the afternoon, we said goodbye to the colorful market and started the drive back to Antigua, happy to have experienced such a vibrant and bustling place.